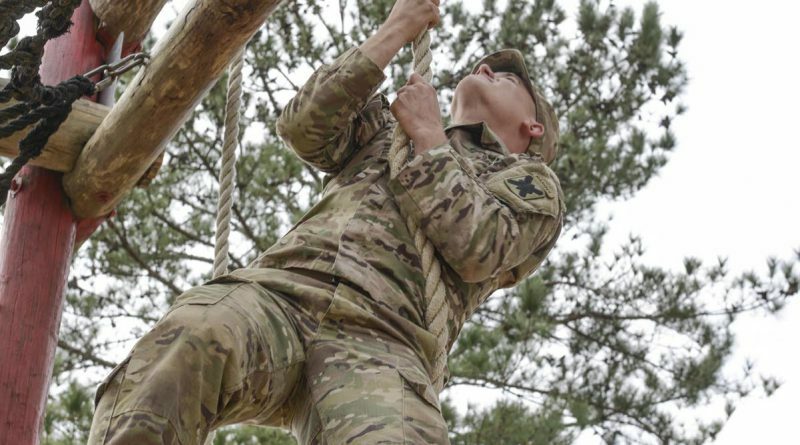 Gondy, a 23-year-old from Elverson, Pennsylvania, became the first junior enlisted Soldier in the Louisiana National Guard to complete both the Army Ranger and Airborne schools. 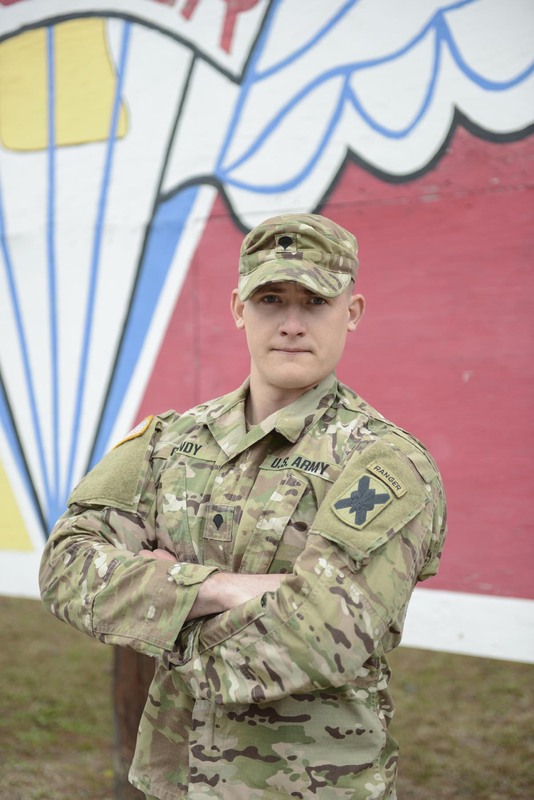 He earned the coveted Ranger tab, Oct. 26, 2018, then graduated from Basic Airborne Course, Nov. 16, 2018. 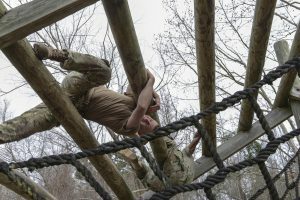 The Army’s Ranger school, conducted at Fort Benning, Georgia, tests Soldiers on leadership and individual Soldier skills while pushing them past their physical and mental limits. 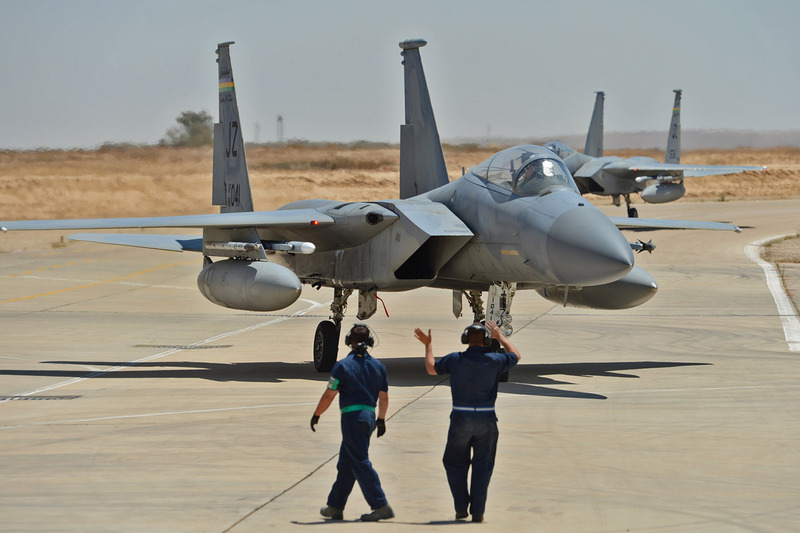 The 61-day long course was originally created in 1952 to develop combat skills of selected officers and enlisted men. 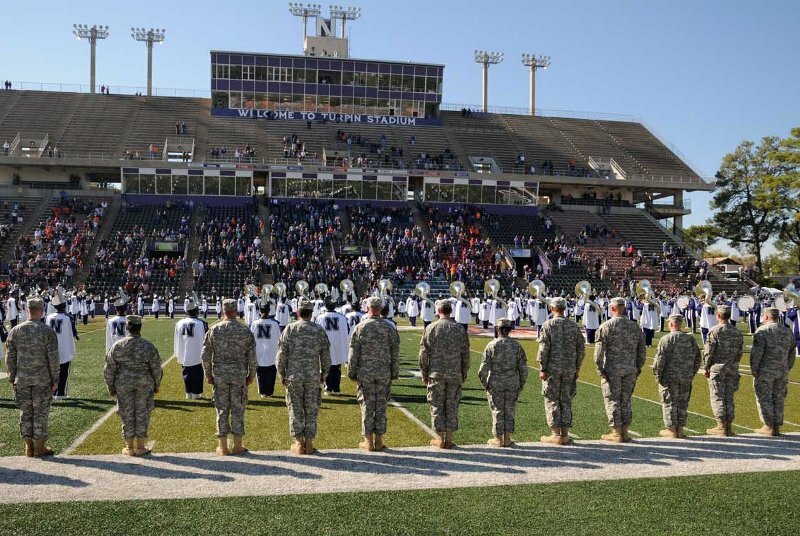 “It is a great feeling to see the Ranger Tab pinned on graduates for the first time,” said Command Sgt. 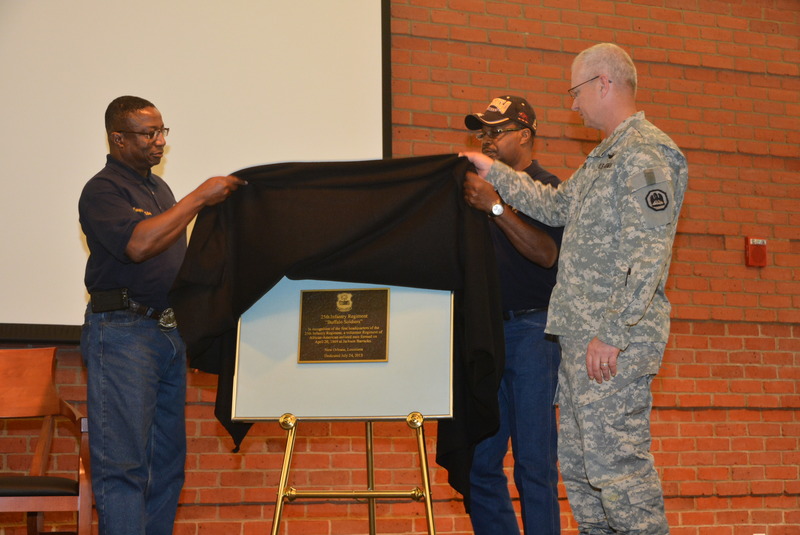 Maj. Clifford Ockman, CSM of the Louisiana Army National Guard. 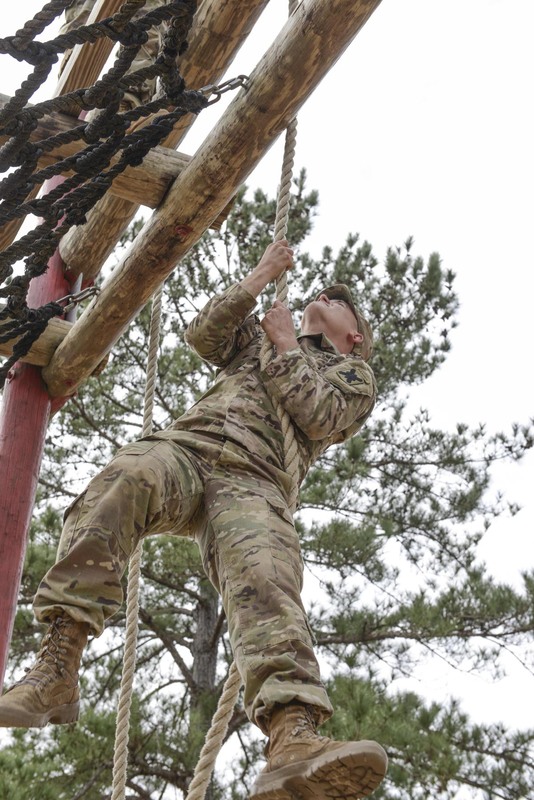 “Past graduates joke about having attended the last hard class, but the reality is very little has changed with the Ranger course since it started.” Ockman graduated Ranger School in 1991. 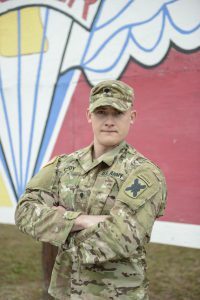 Gondy originally joined the Pennsylvania National Guard in 2014 at the age of 18, not long after his twin brother, Cpl. John Gondy, decided to join. He said he moved to Louisiana two years ago for a change of scenery from his home state. Gondy said like any siblings, he and John like to compete with each other. 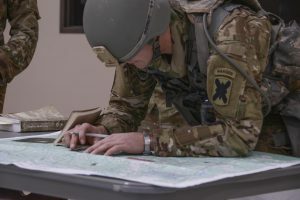 1st Lt. Nicholas O’Bryan, Gondy’s commander, explained that the LANG receives a set number of slots to send Guardsmen to Ranger school, and those slots are divided amongst various units throughout the state. 3rd Battalion sent seven Guardsmen to attend the Ranger Training Assessment Course. 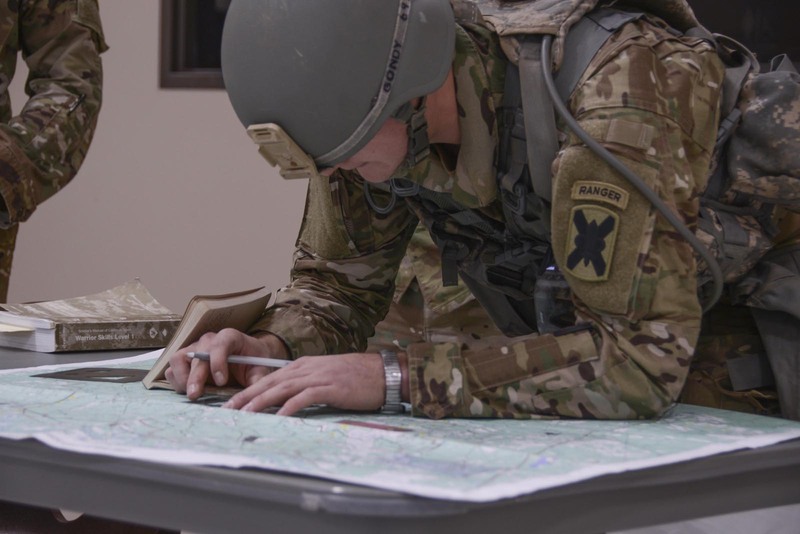 RTAC is a 16-day course, required by all Army National Guardsmen to attend Ranger school, divided into two week-long phases: Ranger Assessment Phase and Patrolling Phase. Students must pass the Ranger Assessment Phase events in order to continue into the second phase. Students who successful complete RTAC are then recommended for attendance at the Ranger Course. Army National Guard Soldiers are required to successfully complete RTAC in order to attend the Ranger Course. Although the course is extremely physically demanding, Gondy said that wasn’t the hardest part. One of the biggest draws to the Ranger course for Gondy was improving his leadership skills. Once completing the Ranger course, Gondy attended the Army’s Basic Airborne Course (BAC), a three-week course teaching Soldiers the techniques involved in parachuting from airplanes and landing safely. 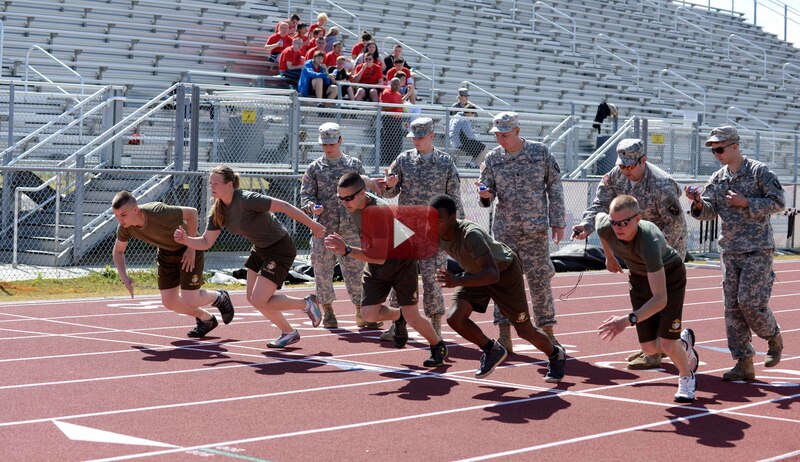 The purpose of the BAC is to qualify the Soldier in the use of the parachute as a means of combat deployment and to develop leadership, self-confidence, and an aggressive spirit through mental and physical conditioning. O’Bryan said that even though Gondy’s rank hasn’t changed, his responsibilities and expectations of him have. O’Bryan said that he and the unit are proud of Gondy for completing Ranger and Airborne school. Gondy said that for Soldiers wanting to attend Ranger school, the biggest hurdle is getting past the fear of going and failing. Since graduating Ranger and Airborne schools, Gondy represented 3rd Battalion in the 256th’s best warrior competition. Keeping in their competitive tradition, his brother is scheduled to begin Ranger school in August.